Almeria is a province of contrasts. The Alpujarras region, which carries on into Granada, provides a intriguing landscape covered with simple towns such as Benahadux, Gádor, Alhama de Almeria, Canjáyar, Láujar, Alcolea, Berja, Adra, El Ejido, Dalías, Roquetas de Mar. The coast includes Carboneras, Mojácar, Garrucha and some wonderful beaches. The North has the Vélez route, with the Letreros cave (prehistoric paintings) in Vélez Blanco, and an interesting castle in Vélez Rubio. 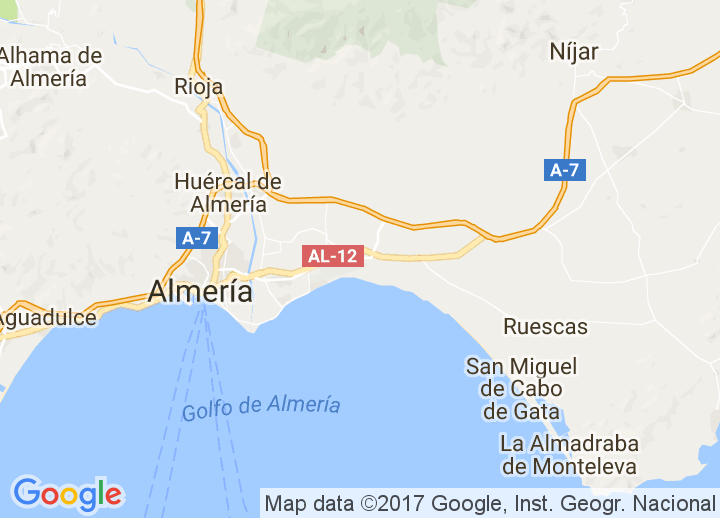 Almeria, the capital of the province, is a modern and attractive city in itself. Choose from the best seaside hotels and country bed & breakfasts in Almeria. You will also find romantic fincas and cortijos nestled in untouched landscapes. Whatever your taste, we’ll help you find that perfect getaway. The marked religious component in the festivities of Almería is reflected both in their origin and their expression, although the latter tends to incorporate more and more secular features. Festivities in honour of patron saints occupy the calendar of festivities in Almería, most of them taking place between May and September. Fireworks, processions, cavalcades, groups of people dressed up for the occasion, folkloric performances, concerts by musical bands and Cante Grande Song Festivals are typical features during the celebrations. Musically, Almería's folklore has in the Seguidilla musical roots that go back to before the 11th century, and the Petenera, a dance from the Alpujarra, originated at the end of that century. The more modern Fandango is from the 18th century.